Hello, I am Ling, a native Chinese speaker. I speak both French and English as well as Mandarin. I am currently working full-time as an online teacher on Verbling. I also have my own website ( https://bilingoal.com/). I can improve your pronunciation and speaking skills as well as prepare you for the HSK exams ( HSK1-4 ) if that is your goal. 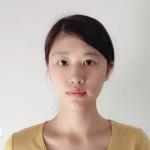 In addition, I am working as a part-time Mandarin speaking tutor at Easy Chinese in Guangzhou, China. I am experienced in teaching both adults and children, especially beginners. My students find me patient, conscientious and upbeat. I love when students ask me questions during the lessons, and I even love your mistakes, Mistakes tell us what we can focus on. So, no need to be shy! If you are a beginner or if you already have some Mandarin and want to improve your skills, don't hesitate to contact me and book a trial lesson. I will be happy to be your teacher! Talk to you soon! *If you want to use your own books, please make sure to send me the PDF before class. *If you are beginner level or upper beginner level, I suggest you do the lesson with a book. * The dialogues based on the textbook can be developed to the one more close to the real life. *For absolute beginners: Learning Pinyin is the first step to learning Chinese, therefore Pinyin Package ( Chinese Introductory course - Pinyin) is specially designed for you, this package is divided into 10 sessions. In the first session, I am going to introduce you the language and how to learn Pinyin (Chinese phonetic alphabets) efficiently, easily. In each session, we will learn several Chinese alphabets (finals & initials), I take you to do pronunciation practice ( tone changes, sound discrimination etc). In the meantime, you will be asked to master 1 or 2 Chinese characters for each lesson if you'd like to. I can also show you how to write the characters properly (stroke orders, radicals). If necessary, you will be given some homework.